Human DNA less diversified than that of chimps: evidence for Noah’s flood? Pascal Gagneux, an biologist at the University of California at San Diego, and other members of a research team studied genetic variability among humans and our closest living relatives, the great apes of Africa. Humanoids are believed to have split off from chimpanzees about 5 million to 6 million years ago. With the passage of all that time, humans should have grown at least as genetically diverse as our cousins. That turns out to be not true. We actually found that one single group of 55 chimpanzees in west Africa has twice the genetic variability of all humans, Gagneux says. In other words, chimps who live in the same little group on the Ivory Coast are genetically more different from each other than you are from any human anywhere on the planet. “That makes perfectly good sense,” says Bernard Wood, the Henry R. Luce Professor of Human Origins at George Washington University and an expert on human evolution. The most plausible explanation, he adds, is that at least once in our past, something caused the human population to drop drastically. When or how often that may have happened is anybody’s guess. Possible culprits include disease, environmental disaster and conflict. “The evidence would suggest that we came within a cigarette paper’s thickness of becoming extinct,” Wood says. They compared the DNA variability of apes and chimps to that of 1,070 DNA sequences collected by other researchers from humans around the world. They also added the DNA from a bone of a Neanderthal in a German museum. The results, the researchers say, are very convincing. “We show that these taxa [or species] have very different amounts and patterns of genetic variation, with humans being the least variable,” they state. Common chimpanzees in equatorial Africa have long been recognized as falling into three distinct populations or sub-species: western, central and eastern chimpanzees. A fourth group, the Cameroonian chimpanzee, has been proposed to live in southern Nigeria and western Cameroon, but there has been considerable controversy as to whether it constitutes a distinct group. Oxford University researchers, along with scientists from the University of Cambridge, the Broad Institute, the Centre Pasteur du Cameroun and the Biomedical Primate Research Centre, examined DNA from 54 chimpanzees. They compared the DNA at 818 positions across the genome that varied between individuals. Their analysis showed that Cameroonian chimpanzees are distinct from the other, well-established groups. The researchers also contrasted the levels of genetic variation between the chimpanzee groups with that seen in humans from different populations. Surprisingly, even though all the chimpanzees live in relatively close proximity, chimpanzees from different populations were substantially more different genetically than humans living on different continents. That is despite the fact that the habitats of two of the groups are separated only by a river. There is one near-extinction event that is fairly well-known, although it remains controversial. Roughly 70,000 years ago, give or take a few thousand years, an enormous eruption occurred in what is now Sumatra, leaving behind Lake Toba). The eruption coincides with a population bottleneck that is often cited as the reason for the relatively low genetic diversity across Homo sapiens sapiens. Research suggests as few as 2,000 humans were left alive by the eruption and its aftereffects. A recent paper in the Proceedings of the National Academy of Sciences found another population bottleneck much farther back in human history. Genetic studies found that 1.2 million years ago there were as few as 55,000 members of genus Homo, including pre-human hominids like Homo erectus and Homo ergaster. This one is interesting because we don’t have solid evidence of a catastrophic event during that period, so we’re not sure what might have caused the population crash or where to look for more evidence. “When humans faced extinction.” BBC News. “Humans Might Have Faced Extinction.” Scientific American. It is our conclusion that, at the moment, genetic data cannot disprove a simple model of exponential population growth following a bottleneck 2 MYA at the origin of our lineage and extending through the Pleistocene. Archaeological and paleontological data indicate that this model is too oversimplified to be an accurate reflection of detailed population history, and therefore we find that genetic data lack the resolution to validly reflect many details of Pleistocene human population change. However, there is one detail that these data are sufficient to address. Both genetic and anthropological data are incompatible with the hypothesis of a recent population size bottleneck. Such an event would be expected to leave a significant mark across numerous genetic loci and observable anatomical traits, but while some subsets of data are compatible with a recent population size bottleneck, there is no consistently expressed effect that can be found across the range where it should appear, and this absence disproves the hypothesis. Any other suggestion other than a flood? This is pretty stupid. First, you do not understand how genetics work. Imagine a piano keyboard. You can play millions of different songs without adding a single note. This is how genetic mutation works. However, new genetic information is made every time an organism reproduces, but we’ll forget about that for the moment because it is irrelevant to the analogy. Now imagine you rip out a third of the piano notes. This means there is less VARIATION although mutations still occur. Also, you wacky creationists are being dishonest again as you fail to mention the fact that EVERY SPECIES ON EARTH should have had a bottleneck because of Noah’s Flood, including chimps, so this is a knocking blow to your idea, not evoluton. I don’t have time to explain all the ignorant mistakes litterd through this article, but I advise you to actually try to understand real science before trying to discredit it. Nothing could support Noax’s flood. The heat released by 40 days of rain should cook and kill everything. 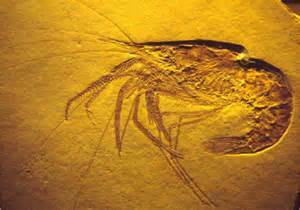 Why should you believe one worldwide disaster caused fossils instead of lots of short, small ones scattered throuh time? None of their radiodating supports they died off in the same time.